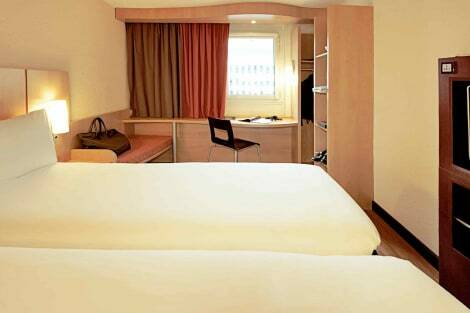 Make yourself at home in one of the 2 guestrooms. Complimentary wireless Internet access is available to keep you connected. Bathrooms with showers are provided. Conveniences include desks and coffee/tea makers, and you can also request irons/ironing boards. Situated in quiet countryside between Bristol Airport and the city centre, The Town & Country Lodge offers spacious rooms and free Wi-Fi. There is a free parking while you stay and for those using the airport there is a secure Long Stay Car Park with a taxi service for transfers. Guests can enjoy meals in the pub, which offers a range of well cooked classics. Breakfast is served daily with the choice ranging from fruit salad to a fried breakfast. Each room is bright with light décor, and has a TV for guests to use. Each also has scenic country views, and comes with facilities for making tea and coffee. The Town & Country Lodge is just 20 minutes’ drive from the M5 motorway. Bristol’s city centre can be reached in 15 minutes by car, while the airport is a 10-minute drive away. 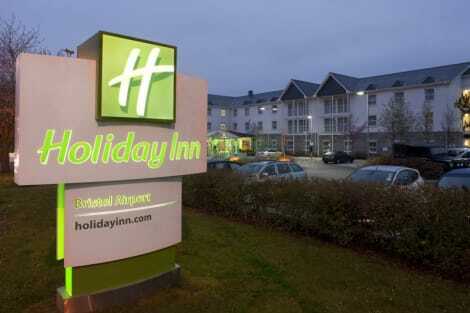 Friendly Bristol airport hotel with shuttle and free WiFiIdeal for an early flight or a family holiday, Holiday Inn® Bristol Airport hotel is just a 6-minute drive from Bristol Airport.The 24-hour shuttle is your convenient link to the airport, and our Park, Stay & Go package allows you to catch flights refreshed, leaving your car at the hotel until you return. Bristol Temple Meads train station and city centre shops and attractions are a 30-minute drive away. The dramatic cliffs of Cheddar Gorge and the limestone cavern network at the Wookey Hole Caves are both close by, while the seaside resort of Weston-super-Mare and rides and attractions at the Grand Pier are perfect family outings. 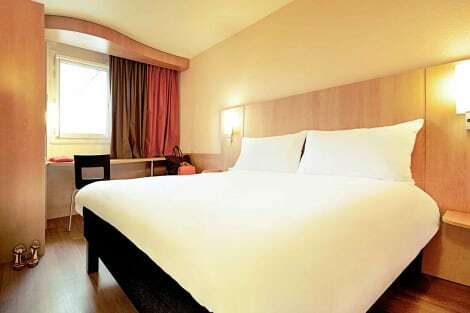 The hotel's 2 naturally lit meeting rooms can host up to 60 people, and there's a handy Business Centre as well.At this hotel you can enjoy:- All Day Dining- To Go Café- Kids stay and eat freeGuest rooms are designed for your comfort, with Smart TVs, pillow menus and sofa beds for the kids on request. Head to our Open Lobby for a hearty breakfast, plug in your laptop at the E-Bar or watch TV in the comfortable Media Lounge. You can take in the fresh country air on the heated patio while the kids enjoy the play area. When day is done, sip a cold pint or cocktail at the bar with a bite to eat from the lounge menu. 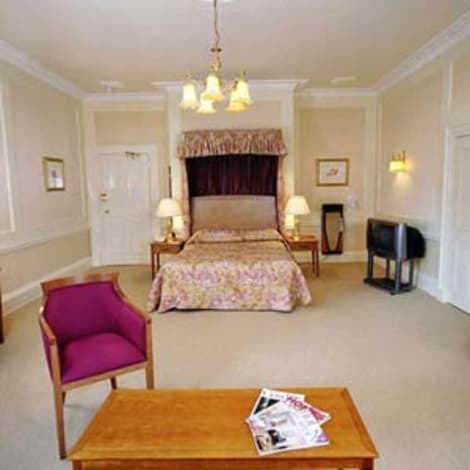 This grand 3-star hotel can be found in Bristol’s business district not far from Knowle Golf Club. It's easy to get to and free parking means it's also a great base if you need your car. In a traditional stone building, originally built in 1760, the Arnos Manor Hotel has a lovely terrace and garden where you can eat or take drinks from the hotel's bar. Stay connected with the free wi-fi in all rooms, which all have flatscreen TVs and complimentary newspapers available every day. 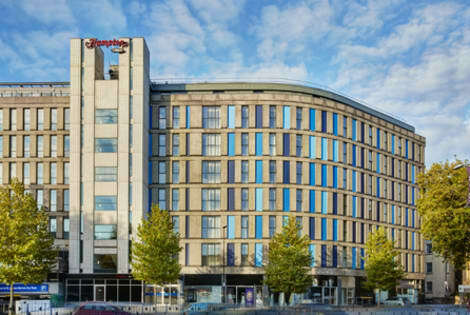 Hampton by Hilton Bristol City Centre is ideally situated in the heart of the city center, close to both the business and leisure areas of Bristol. Our welcoming hotel provides the perfect gateway for exploring the rich history of Bristol and experiencing the lively vibe of the shops, theatres and nightlife. Visit popular attractions like the SS Great Britain museum ship, the Clifton Suspension Bridge, Bristol Museum & Art Gallery and Bristol Zoo Gardens – all easily reached from our Bristol hotel.Feel at home in a stylish, air-conditioned guest room, equipped with everything you need for a relaxed, productive stay. Log on to your social network with free WiFi, and work comfortably at the large desk with ergonomic chair. Lie back on the comfy Hampton Bed™ and watch movies on the 32-inch flat-screen TV.Save and get a head start on your day - there is a hot breakfast included when you stay at this modern Bristol hotel. Relax with a drink and a tasty snack in the bar, or enjoy our handy 24-hour pizza service. Work out with contemporary cardio, resistance and weights equipment in the 24-hour fitness center. Stay in touch with the office in the work zone, where you can fax or print documents, and check emails with free WiFi.